Manila Water Foundation recently received two citations for its disaster response efforts for Marawi. Through its program, Agapay Para Sa Barangay (APSB), MWF was among the first organizations to send help to the Philippine troops and families afflicted by the conflict which started in May 23, 2017. To date, MWF was able to send more than 24,000 gallons of clean and safe drinking water which helped in preventing cases of waterborne diseases and dehydration. 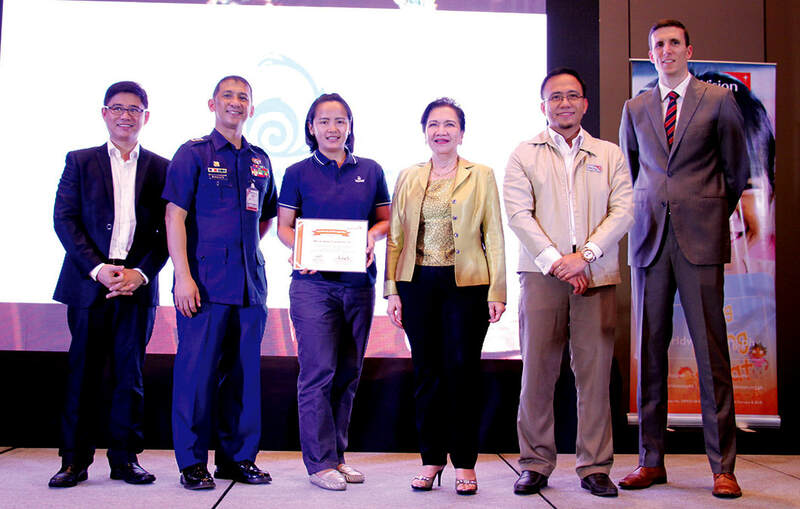 The citations were given by the Civil Relations Service of the Armed Forces of the Philippines and World Vision Philippines who are also among the staunch partners of MWF for the APSB program. 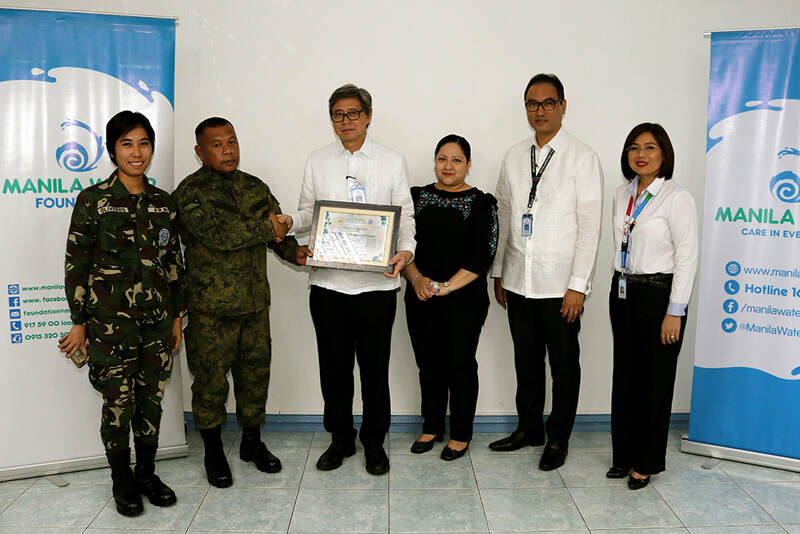 Manila Water Foundation (MWF) received a Certificate of Appreciation from the Civil Relations Service of the Armed Forces of the Philippines for its disaster response efforts during the height of the Marawi siege. In this photo are (L-R) Philippine Army Pvt. Eunice Rodaleza Oliveros, Philippine Navy MU2 Romulo Contrano, MWF President Geodino V. Carpio, MWF Executive Director Carla May Beriña-Kim, MWF Chairman Ferdinand M. Dela Cruz, and MWF Trustee Janine T. Carreon. World Vision Philippines also recognized MWF’s efforts for Marawi during their Corporate Partners’ Night 2017 which was held recently as part of their 60th Anniversary celebration. In this photo are (L-R) World Vision National Director Rommel V. Fuerte, Philippine Coast Guard Spokesperson and former World Vision Sponsored Child Cdr. Armand Balilo, MWF Program Manager for Water Supply Janie Rose Ilustre-Alfonso, World Vision Board of Trustees Chairperson Atty. Liwayway Vinzons-Chato, Resource Development Director Jun Godornes, Resource Acquisition and Management Senior Manager Joshua Anderson.